PARIS -- PSA/Peugeot-Citroen plans to cut 190 jobs at its factory in Trnava, Slovakia. The reduction follows the ramping up of production of the new Citroen C3 Picasso, PSA said. "The C3 Picasso has gone from the project phase to the series production and we no longer need all the personnel from the ramping up period," a PSA spokesman said. 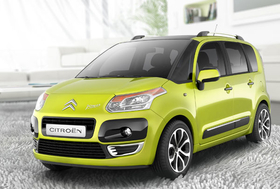 The C3 Picasso small minivan will go on sale across Europe in March. The Trnava factory also manufactures the Peugeot 207 small cars and employs about 3,000. PSA aims to produce 850 cars a day during 2009 at the plant.